Conserve Harpy Eagles and their habitat through a combination of environmental education, increased involvement from local communities, and basic research aimed at testing scientific hypotheses about their ecology in the Pacific region of Darien Province in Panama. Over the next 15 to 20 years, our aim is to complete the world’s first-ever detailed study of the population biology of a large, long-lived, tropical forest eagle. This conservation program includes components of research, ecological monitoring, environmental education and community participation to enhance local capacities for conservation and sustainable management. Goal: Increase knowledge on movement patterns, habitat selection and survival of young and adult Harpy Eagles and assess vulnerability to human persecution. Investigate movement patterns, habitat selection and survival of young and adult Harpy Eagles using satellite and VHF telemetry. Identify factors that make Harpy Eagles vulnerable to human persecution. Identify sites and habitats of high vulnerability to persecution. Collaborate with external researchers by providing samples for genetic and molecular studies. Search Harpy Eagle nests and monitor productivity. Goal: Change attitudes of local residents towards Harpy Eagles through increased public awareness and community involvement. Training of indigenous Embera & Wounaan field assistants in hands-on research and ecological monitoring techniques. Carry out an environmental education awareness campaign targeted to local communities. Conduct environmental seminars for school children of indigenous communities. Broadcast radio PSAs at the national level highlighting the need to conserve Harpy Eagles, raptors and habitats. Promote local cultural values and traditional knowledge of conservation as a tool to increase the interest of preserving and protecting natural resources. Assist local communities establish protection and management systems for critical habitat of Harpy Eagles by promoting community benefit from tourism value of Harpy Eagles and conservation of intact habitats. Reverse the current declining trend of the Harpy Eagle population in Darien. 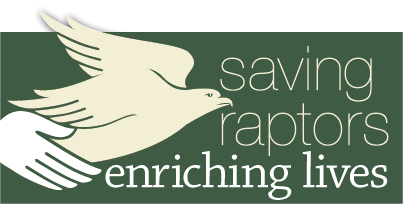 Eliminate/reduce human caused mortality and illegal captures of Harpy Eagles through increased public awareness and community involvement. Provide scientific information and advice to the Panamanian Environmental Authority (ANAM) and contribute data to the National Action Plan for the Conservation of Harpy Eagle in Panama. Contribute knowledge on population dynamics to the Regional (Central American) Conservation Strategy for the Harpy Eagle in order to connect populations by means of the Mesoamerican Biological Corridor.